This easy, delicious and refreshing salad is perfect for Summer celebrations. 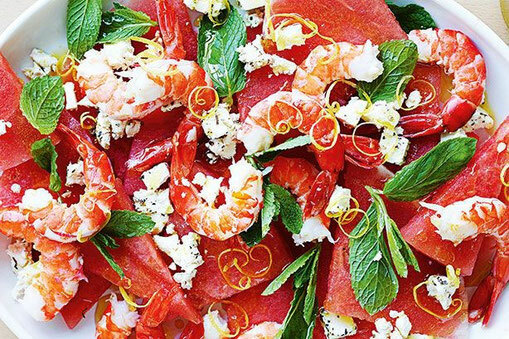 Arrange the prawns, watermelon, mint and feta on serving plates. Sprinkle with the lemon zest. Drizzle with the lemon juice and oil and season with pepper.